After a degree at Kent University in American Studies (1980 – 1984), Robin joined Whitbread PLC as a pub area manager, going on to develop and lead multiple pub & restaurant brands including Diageo, Scottish & Newcastle and The Restaurant Group. In 1999 he joined YO! Sushi as CEO, building the iconic fast-casual popular restaurant chain from 3 to 100+ company restaurants both in the UK & USA, including 16 franchise restaurants in international airports and the Gulf. From Jan 2018 Robin joined the Trispan Rising Stars team as an Operating Partner and retains NED roles with Eathos, YO! Sushi, Marston’s & Caffe Nero, as well as sitting on the sectors UK Hospitality Board. 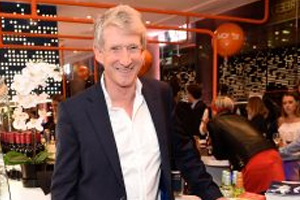 He received an OBE in 2016 for his service to the UK hospitality industry. I’m motivated by great food and service. I’m inspired by people who are driven, consistent, and possess extraordinary vision. I am a strong believer in ‘happy teams and happy guests’ and can’t stand lazy operators. I believe ‘people work with people’, and my management philosophy is simple as I look for ‘continual improvement’ on the ‘5 Ps’: People, Product, Property, Promotion and Profit. I’d like to add value to a few more businesses. It’s very challenging to survive and thrive in the restaurant business: there are a handful of us who have managed it with the same business for 15 years or more. I truly believe It’s all about employing great people and understanding the importance of good managers, who value their teams. What’s the most interesting thing about you that we wouldn’t learn from your CV or Wikipedia page? My Father sadly died when I was six. He was a very promising labour MP and a contemporary of Roy Hattersley and Shirley Williams. It’s strange to think he could even have ended up becoming Prime Minister in the 70s. Also – my wife and I used to drive a London taxi – it was quite a thing among the Surrey set, seeing us driving the kids to school in a London cab! At one point we’d been having a problem with rogue chefs who had been rumoured to be putting mussels on the YO! belt. I was sitting at one point with an investor and assuring him this was no longer happening. As we talked I glanced up just in time to watch a dish of mussels going past me on the conveyor belt! I strongly believe that the O has to be the same size as the Y in the YO! Sushi logo. Also the base quality of the food you serve is crucial – the quality of the food comes right down to the core ingredients which must never be compromised. During my second year in Kent we actually lived in an amazing house called The Edge at St Margarets Bay looking out across the channel which was pretty special – but a little far from campus! When were you last back on campus? I actually came back in Summer 2017 with my son Chris to look at the university, as he is thinking of studying Business. It was interesting to go back to Rutherford, my former college – the campus has changed so much! What is your favourite memory of Kent? We booked U2 for just £150 to play in the Rutherford Bar! Quite a coup. I was part of the social committee – we also had a great time seeing bands like the Cure, UB 40 & Ramones at the Odeon. What do you wish you knew while at Kent that you know now? I wish I had got more involved in outdoor pursuits and sports, I didn’t do enough of that sort of thing. I was probably a little too ‘cool for school’ – I grew up in Blackheath and arrived at University having taken a year off already and foolishly felt quite worldly. I also wish I’d spent more time thinking about careers, though I was very lucky to get three job offers straight out of uni through the milkround! Why do you think specifically conveyor belt sushi restaurants have such appeal? It’s partly novelty, but it also goes beyond that. It’s fast, fun and fresh. You can be in and out very quickly, you’re fully in control of your own meal, and you don’t need to order and wait for the food to be prepared. I like to think of it as ‘elegant fast food’. It’s a great place to do speed dating and also perfect as transit food e.g in airports (YO! Sushi’s record-holding branch is Terminal 2 at Heathrow which whilst small once did well over 100k in one week!) A distinct advantage of YO! is also that it can work out of a floor plate as small as 1000 square feet which gives a basic kitchen plus a conveyor belt, and really it offers three different types of experience – it can be a transactional experience at airports, a default offer in a shopping mall, or can be a total restaurant experience. It’s really rather niche. And finally: you’ve been given a campus rabbit, you can’t give it away or sell it. What do you do with it? I’m sorry to say but I’d have to cook and eat it – probably fricasseed! !